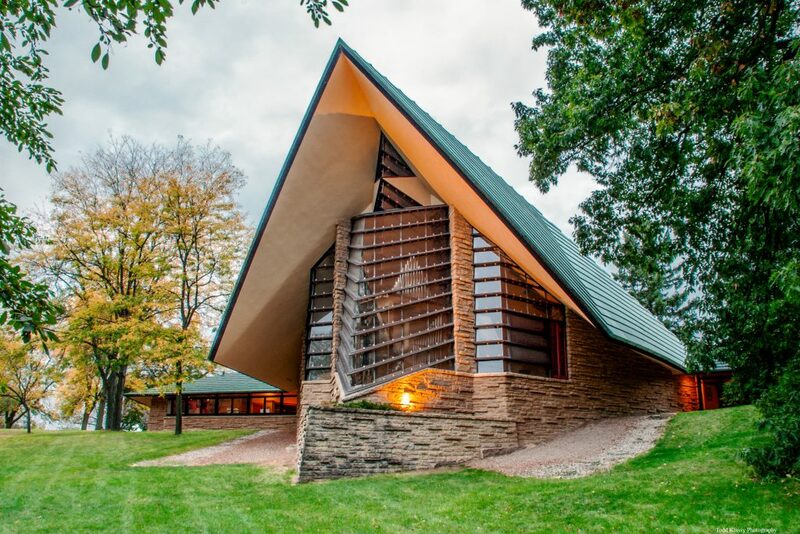 Frank Lloyd Wright was a member, and his design revolutionized church architecture. The Unitarian Meeting House is only 1 of 17 Wright-designed buildings designated by the American Institute of Architects as a building “which should be preserved in its original configuration as evidence of Wright’s contribution to American culture.” Now, its distinctive copper roof is failing. We’ve raised nearly 65% of our goal, but we need your help to finish restoring this significant building. Check out WISC-TV’s coverage of our campaign here. Friends of the Meeting House and the First Unitarian Society of Madison have raised $1.35 million of their $2.1 million dollar goal to restore the Unitarian Meeting House. Click the button below to read more about this project, its cultural significance, and how you can help. For questions about the campaign, please contact Monica at monican@fusmadison.org or by phone at 608-233-9774 ext. 115. For questions about the donation process, please contact Florence at florencej@fusmadison.org or by phone at 608-233-9774 ext. 110. If you’re ready to join us, you can click the button above to give by credit card. Please select “Landmark Restoration” using the drop-down menu. If you would like to donate through another means such as stock/bond transfer or by electronic funds transfer, please email Florence at florencej@fusmadison.org. Your gift will go directly to funding roof repair costs. No donations from the Wright the Roof Campaign will fund programming offered by the First Unitarian Society of Madison. Photo courtesy of Todd Klassy. Used with permission.